Asparagus is such a great easy thing to pickle and as far as canning in my little part of the world (the northeast), it's the first thing I can get my hands on in the field to put in a jar. Prepare boiling water bath canner and gather clean jars (I got a yield of 5 12oz. jars from this recipe). 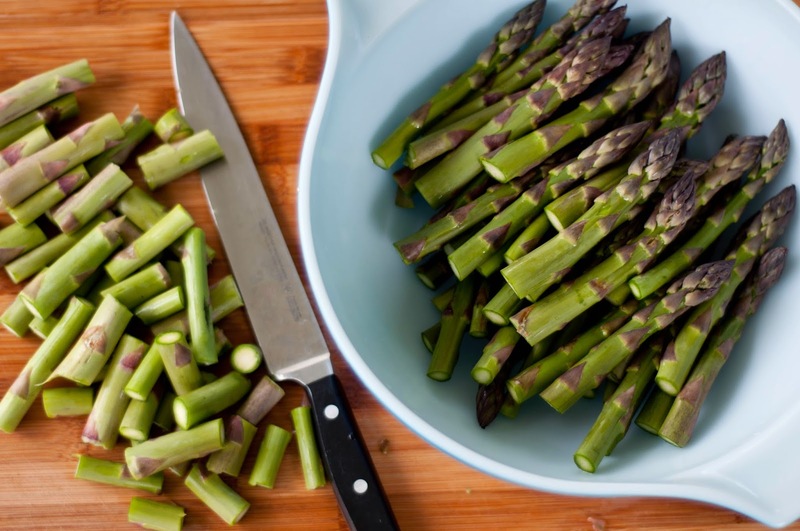 Wash your asparagus well and cut to fit jar leaving 1 inch headspace. In large pot combine water, vinegar, salt, honey, pepper flakes and mustard. Stir to combine and bring to a boil. While waiting for brine to boil pack jars with asparagus. Ladle hot brine into jars. Remove air bubbles, wipe rims, and apply lids. Process for 10 minutes (adjust for altitude). After 24 hours check to make sure lids sealed and eat with in 1 year.